How to watch True Grit (2010) on Netflix Argentina! Yes, True Grit is now available on Argentine Netflix. It arrived for online streaming on October 7, 2017. 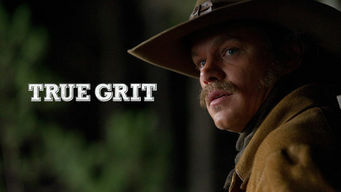 We'll keep checking Netflix Argentina for True Grit, and this page will be updated with any changes. After drifter Tom Chaney murders her father, 14-year-old Mattie Ross hires alcoholic U.S. Marshal Reuben "Rooster" Cogburn to help her exact revenge. Hangings, shootouts, drunken brawls and vigilante justice are a young girl's recipe for revenge in the Old West.